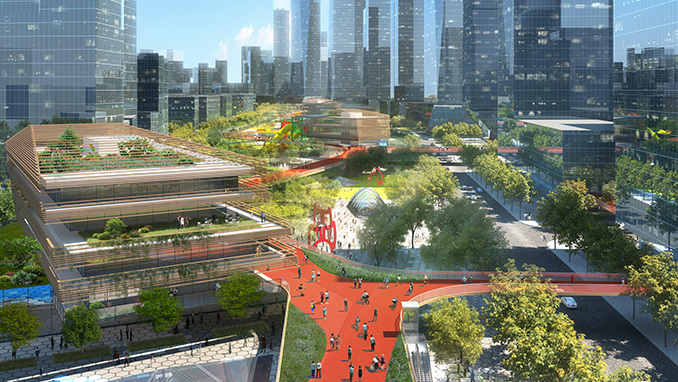 The competition concept for Silk Road Corridor (formerly Qianhai Mawan Mile) is a vibrant new place for Shenzhen to gather, combining lush parklands, new cultural buildings and a winding skydeck in one essential, wellbeing-led destination. 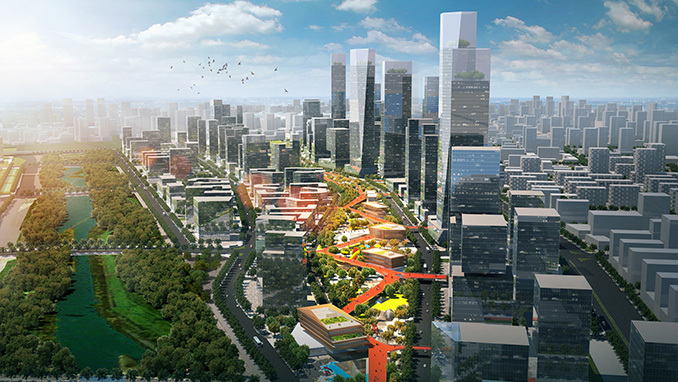 HASSELL has been appointed as design partner for the development of a critical urban area within the new Qianhai business district of Shenzhen, one of China’s important ‘gateway’ cities. 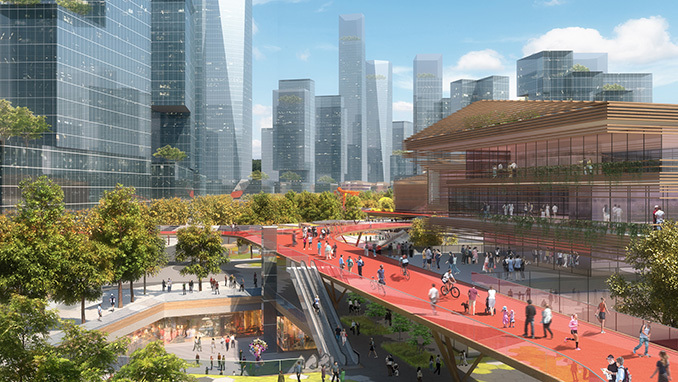 Our winning competition scheme for Silk Road Corridor is a mixed-use precinct designed to draw people in every day – particularly the young, mobile residents in this rapidly changing area – improving health and wellbeing and increasing social connections in the process. 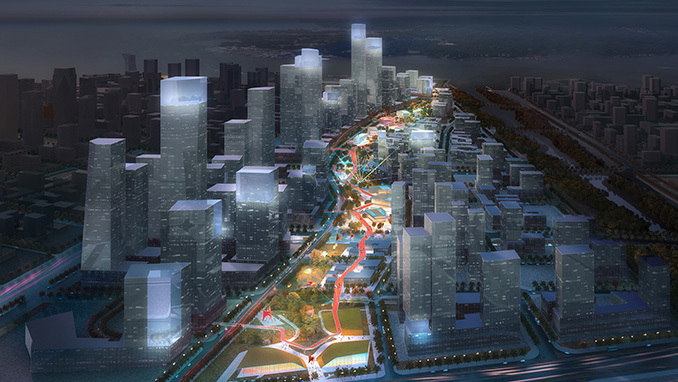 The Silk Road Corridor masterplan concept consists of four layers that form an integrated and well-defined new public place: above and below ground neighbourhood zones, a continuous park, a series of pavilion buildings and a skydeck that weaves its way above and links the whole development. 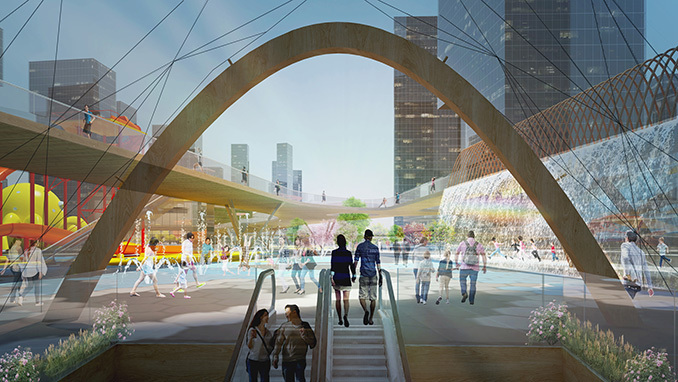 This 1.6km-long deck functions as a ‘boulevard in the sky’, connecting the buildings in the precinct and the park not only with the surrounding buildings but also with the wider city street network. Importantly, the deck provides an uninterrupted cycling and jogging path that promotes exercise and wellbeing – a central goal for the project. 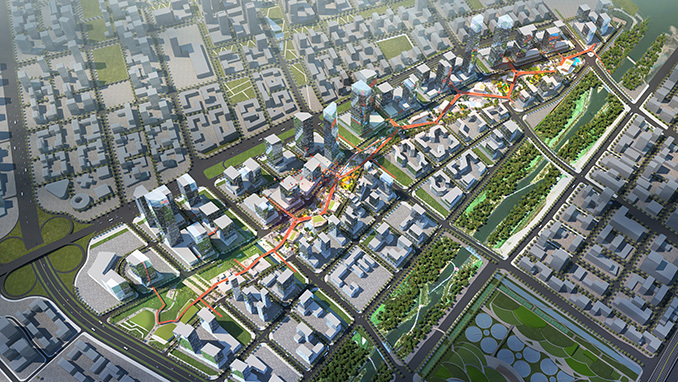 The site is the only location in Qianhai that has multiple metro stations and high speed rail interlinked to form a major public transportation node. 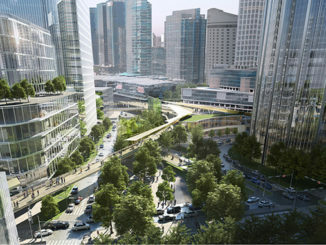 As a result, our design focused on continuity at the underground, ground, and upper levels, ensuring pedestrians have priority and the public spaces face minimal disruptions from traffic and other infrastructure. Within the corridor’s neighbourhood zones, key elements of our urban landscape infrastructure promote and support a wide range of social activities, with a particular focus on relaxation. There are gardens for quiet reflection or social functions, wet and dry areas for children to play, group exercise areas, piazzas with cafes and restaurants and open venues for outdoor events and art installations. 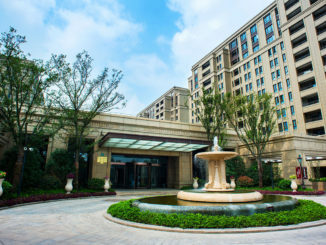 A major entertainment precinct is located below ground at Silk Road Corridor with connections to the metro concourses, and sunken plazas act as semi-outdoor dining areas and market places. 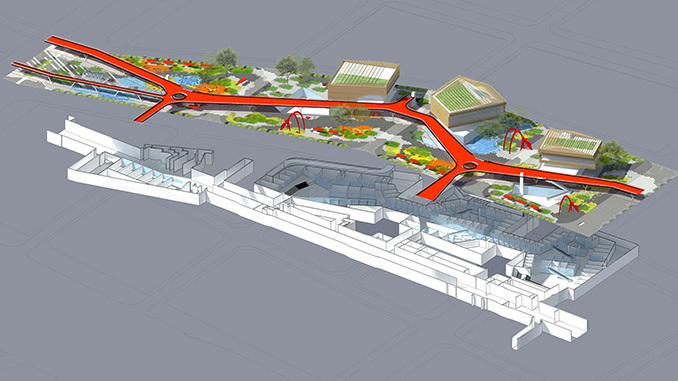 Together, these attractions add another layer of activity and interest to the ground level and a counterpoint to streets dominated by retail – fulfilling the project’s aim to ‘entertain’ in this section of the precinct. 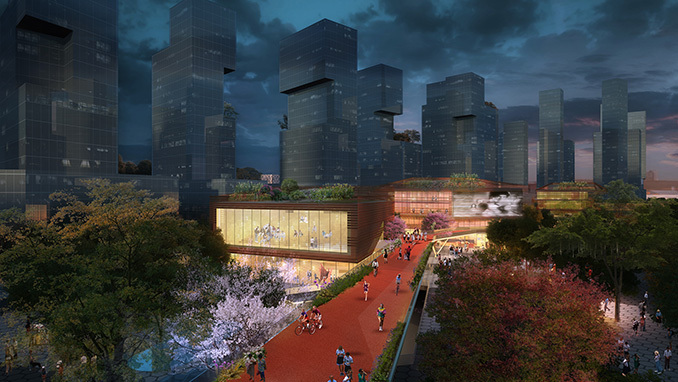 At the southern end of the development is a new cultural district comprising three pavilion buildings called the M3 Place. It’s an integral part of the park, with outdoor event areas and art plazas. Each building here responds to its views, purpose and access to create a range of compelling forms that are part of a common architectural language. HASSELL has been appointed to undertake the architectural design of these three buildings – the client’s headquarter building, a public exhibition hall and multi-use cultural building. “We are working with both China Merchants and the government authorities now to further develop the scheme. We know that it will change and what we proposed during the competition stage is a starting point, and we’re looking forward to the design process together with our key stakeholders.” HASSELL Principal, Dennis Ho said.